For companies Limited by Shares and Limited by Guarantee. Includes preparation and filing of the Dormant Company Accounts to Companies House. Express service for companies Limited by Shares and Limited by Guarantee. Includes preparation and filing within 24 hours of purchase to Companies House (excluding weekends and Bank Holidays). If a company has never traded it must file dormant company accounts and a confirmation statement (a snapshot of general information). With this service we’ll prepare and file both of these for you. Companies House fee included. What details do Company Formation MadeSimple need to file my Dormant Company Accounts? The processing time for the Standard Service is 48-72 hours (excluding weekends and Bank Holidays). By default we will mark shares as paid unless advised otherwise within 24 hours of purchase. For the Express Service, your accounts will be processed within 24 hours (excluding weekends and Bank Holidays). Due to the nature of this service, we will mark shares as paid unless advised otherwise within 3 hours of purchase. We strongly advise that customers purchase their dormant accounts service at least 15 days before the due date of filing. We cannot be held responsible for any late penalties or fines incurred as a result of purchasing the service within 15 days of the due date. 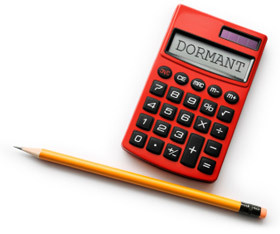 Can I purchase the Dormant Company Accounts service if I did not form my company through Company Formation MadeSimple?